Today, at least on the day I write this, is results day. 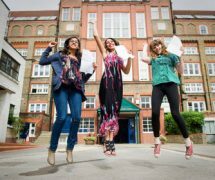 The day many A-Level students walk into their school for possibly the last time to receive their grades. It might not look like it, since my unquestionable beauty makes others believe I am still young at heart, but it has been two years since I went into my school to collect what I earned during the last two years of secondary education. It was a weird time for me. Almost everyone was worried about what they had. People where shaking, and probably close to tears due to the tension, only for it to explode into sugar and rainbows as they received higher than expected grades in their course. And then there’s me, cool as a glass of cold water that had been left for a few minutes. Let’s travel back in time. When I was young, I wasn’t a bright spark. I only really specialised in one subject – Mathematics. All thought my primary school years, it seemed I was born to compute. As I grew, my skills did not. My grades lessened with each passing year during the early years of secondary school. At first, I was above the average when it came to academics, but towards GCSE I was just another average Joe. Why was that necessary for you to read that? No idea, but it links back to the day I received my A-Level results. I started my journey of A Leveldom with five subjects under my belt – Chemistry, Physics, Music Technology, Art and Media Studies. Can you tell I had no idea what I wanted to be when I was older? Anyway, a month in, I decided to drop Media Studies. Why? Well, when I started, I assumed that it would help me gain a knowledge of stereotypes, how they work in the media and how we can utilise them in our own work. But no, it was just discussion time about how stereotypes have been around for eons and act out scenarios. Horrible, that. A week before my AS Art assignment was due in to be marked, I was kicked off the course. Apparently, using Photoshop for almost all of your work isn’t going to get me a good grade, so they dropped me. I wasn’t too heartbroken about it, mind. There was only two good things the teachers actually said about my time in the course – one was that I had a good eye for design and layouts, the other was them assuming that I just nicked pictures from Google yet I designed them. Well, I take the latter as a compliment. Probably could be construed as an insult too. Anyway. So, on results day, I knew I’d only have three letters shown on my paper. That in itself made me think that I’d let people down, not good enough to finish the A-Level years with five grades to my name. But then again, it doesn’t matter. I woke up rather early on results day. No idea why, mind. One of my subjects, Music Technology, used a different examination board, one which allowed me to access my grades from home. And that’s what I did. What did I see? I saw a D. A D is what I saw. That didn’t fill me up with confidence. I needed BBB to get into my course of choice, which totally contradicts the subjects I chose for A-Level. I then, being the ultimate madman that I am, went on UCAS’ website to check if there was any spots on clearing. That’s optimism for you, kids. What did I see? I saw my course on there. There where still spaces on the course that I wanted to go on. I then logged into UCAS. And what did I find? A congratulation, that’s what I saw. A congratulation that I was accepted into my course. At that point, I really didn’t care what I received in Chemistry and Physics. But I received the piece of paper from the deputy headmaster, and I saw the same letter. It was official. I ended my life in secondary education as a D student. It didn’t matter that I crawled in to my university course. It didn’t matter that I had no need for clearing. All I could think of is that I ended up living in the academic shadow of my friends and foes, who ended up earning A and B grades. And you know what made things worse? The year before that day, I received my grades for AS Levels. I had CDD, with a C in Chemistry. 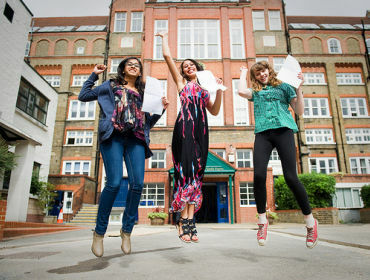 All I heard was “don’t worry, everyone usually gets better grades in their A-Levels”. But I didn’t. In fact, I manage to get a worse grade. Even though I re-sat some papers as much as I could, I still only managed to scrape three D grades. And still, I managed to get into university. Maybe they didn’t have enough people applying for the course. Maybe it was my carefree smile and satin soft hair that won them over. Most likely the former. Huzzah. And even now, sitting on a 2:1 grade after my second year of university, I still think back on this day, the day of A level results day, and wonder what went wrong. Why didn’t I gain the grades that I (a) needed or (b) wanted? I don’t know why I’ve wasted three minutes of your lives pondering back to the day where I saw my school pupil self-die with a puff of disappointment. No A to my name, but a triangle of Ds surrounded my brain. I just hope that, years after graduation day, I won’t feel the same way towards that as I do towards A-Level results day. Disney Launches New Gaming Site! My A-levels were worse, I needed AAB to get into my uni and my 2nd choice wanted BBB, i actually missed out on both and paniced! It didn’t help the phonelines to my uni were clogged and isat in my car boot for 20 minutes while they “Checked” my details!! Anywho, I got in, took 10 minutes to calm down and take a breath, and the moral of the story is – this day will be stressful no matter what, but you have to go through it!